Ijeoma Oluo is visiting North Seattle College to discuss her New York Times best-selling book, So You Want to Talk About Race, on Wednesday, March 13th, from 12:30 – 2:00pm. SCCtv will stream the speaking event live and on-demand. Click "Read more" for more information. The Seattle Colleges' 46th Annual Community Celebration of Martin Luther King, Jr. took place at Mount Zion Baptist Church in Seattle on Friday, January 18, 2019. For broadcast information and to watch the event on-demand, click "Read more." If you have a minute, please watch this message from Seattle Colleges' Chancellor, Dr. Shouan Pan who discusses the challenges faced by the rise in cost of living for those connected with Seattle Colleges, the Families, Education, Preschool and Promise Levy (Proposition 1) and the success of Guided Pathways. Click "Read More" for the message. SCCtv will broadcast a new documentary that chronicals twenty years of musical performances by Music of Remembrance. Produced, written and narrated by our own General Manager, John Sharify, the documentary Hear Our Story Now broadcasts the next three Saturdays at 8pm, beginning October 20, at 8pm. For more information click "Read more." 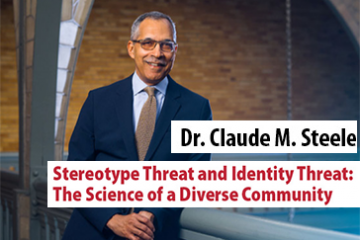 Dr. Claude Steele, Professor of Psychology at Stanford University, visited South Seattle College to discuss stereotype threat and social identity threat research, addressing the why, what and how of diverse learning communities. For more information and to watch the discussion online, click "Read more." Interested in what's happening in the local writing and poetry scene? 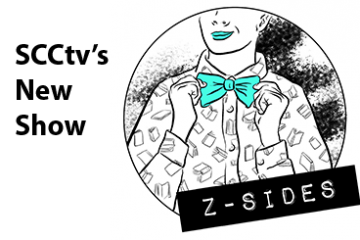 Check out SCCtv's new program Z-Sides! The new program broadcasts new episodes on Sundays at 8:30pm, with repeats on Wednesdays at 9:00pm and Fridays at 8:00pm. For more information on this new program, click "Read more." Seattle College's Chancellor, Dr. Shouan Pan, Seattle Mayor Jenny Durkan, Seattle Public School's Superintendent Larry Nyland and others announced an initiative to offer two years of free college to Seattle Public Schools students. View the press conference held on Wednesday, March 7, 2018 by clicking the "Read more" button below. 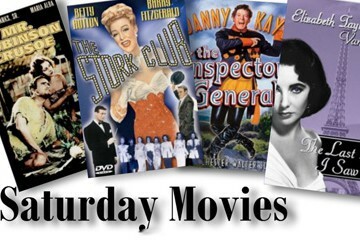 Watch Movie Marvels This Weekend! 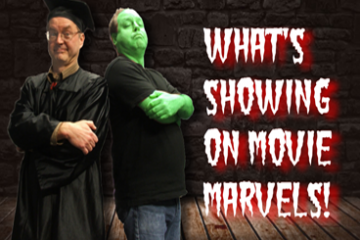 Watch Professor Fred's Movie Marvels, Fridays at 9pm and Midnight and Saturdays at 3pm on SCCtv - Comcast Ch 28, CenturyLink Ch 8005 (HD Ch 8505), Wave Broadband Ch 19 and to the world via live simulcast at www.scctv.net.!!! Click "Read More" to see what's showing! Long time SCCtv producer Jean Walkinshaw examines the life of her sister and artist, Peggy Strong. 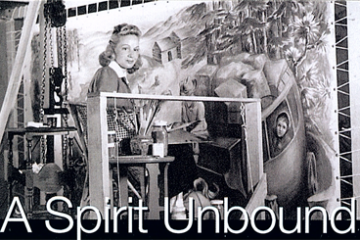 Jean Walkinshaw created this video to accompany the Cascadia Art Museum's exhibit "A Spirit Unbound - The Art of Peggy Strong." This special exhibit runs September 9, 2016 - January 8, 2017. Take a look at what we've got scheduled to air on SCCtv, Comcast Ch 28 / Wave Broadband Ch19!. Or watch you can watch our broadcast streamed live, right here on the Web! In the Dungeon with Professor Fred is an interview program where Professor Fred gets to talk to heroes of schlock cinema. FIND OUT WHO IS SCHEDULED ON IN THE DUNGEON THIS WEEKEND! A collection of videos that we've helped create, all geared towards helping students in college or contemplating going to college. All of the videos are closed captioned. SCCtv Relies on the InternetSeattle Colleges Cable Television, SCCtv, relies on the internet to deliver information and work with our video production clients. Free Programming...for College and University Television Stations! SCCtv has created hours of great programming that we offer to any college or university television station free of charge. Become A ProducerDo you have an idea for a television program? Maybe it can help inform your community? Or you might be passionate about something and need to tell everyone? Become a Public Access television producer on Seattle Community Media! It's easy! SCCtv became operator of the City of Seattle's Public Access channel, Seattle Community Media, Comcast Channel 77, in July 2011. Visit the Seattle Community Media website to see how you can use Public Access to get in touch with your community.